The Chapel Grove Easter Egg Hunt will begin at 4:00pm on Sunday, April 7th at the Pool/Playground Area. Most eggs are found in under 10 minutes, so it’s best to get there just before it starts. The tot lot will be the designated area for 1 to 3 year olds and the larger area surrounding the pool and parking lot for 4 to 12 year olds. Please bring your baskets to collect eggs. Eggs will be filled with candy and small prizes. We are look forward to seeing everyone at the hunt! The Annual Chapel Grove Adult Pool Party is being held next weekend. There will be cocktails, beer, food, and music. The Hideaway will be catering this event. This is an adults only event; residents under the age of 21 will not be permitted. Look forward to seeing everyone there. Just a reminder that the Annual Chapel Grove Family Pool Party is from 11am to 2pm on Sunday, July 29th. Come out and enjoy the DJ, food, games, prizes, and lots of fun! Looking forward to seeing everyone there. The Chapel Grove Easter Egg Hunt will begin at 4:15pm on Sunday, March 25th at the Pool/Playground Area. Most eggs are found in under 10 minutes, so it’s best to get there just before it starts. The tot lot will be the designated area for 1 to 3 year olds and the larger area surrounding the pool and parking lot for 4 to 12 year olds. Please bring your baskets to collect eggs. Eggs will be filled with candy and small prizes. We are look forward to seeing everyone at the hunt! Due to a lack of quorum at the original Annual Meeting dated October 24th, 2017, the re-scheduled annual and 2017 budget meeting will be held at the above referenced time and place. The number of members present in person or by proxy at the rescheduled meeting will constitute a quorum. The purpose of the Annual Meeting, scheduled on Tuesday December 5th, is to review the 2018 proposed budget, discuss past, ongoing and future HOA plans and elect new volunteers to the Board of Directors. Just a reminder that the adult pool party starts at 6pm today. There will be cocktails, beer, food, and music. The Hideaway will be catering this event. This is an adults only event; residents under the age of 21 will not be permitted. Look forward to seeing everyone there. 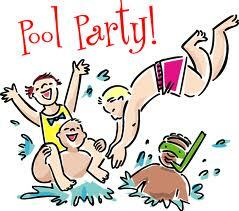 Just a reminder that the Annual Chapel Grove Family Pool Party is from 11am to 2pm on Saturday, July 22nd. Come out and enjoy the DJ, food, games, prizes, and lots of fun! Looking forward to seeing everyone there. Chapel Grove will be participating in the 2017 adult mosquito surveillance and control program offered by the Maryland Department of Agriculture, Mosquito Control Section. This year our community’s assigned night of the week for adult mosquito control services is Tuesday. Spraying will occur anytime during the hours of 7:00 PM and 2:30 AM. Please note that spraying will not necessarily occur at the same time every week. Services will start beginning on June 7th and run through October 11th. Bring in pet dishes, children’s toys, etc. On Wednesday July 12, Davey Tree will be inspecting and spraying all 750 street trees in Chapel Grove. Please avoid parking your vehicle in front of street trees on Wednesday so that Davey can gain access to the trees and reduce the risk of getting treatment fluid on your vehicle. The specific services Davey Tree performs throughout the warmer months is a onetime aeration and deep root fertilization, plus six service calls where they will inspect our trees for diseases and pests, and provide any required treatments during the growing season. While these are necessary actions to protect our investment in trees and to keep our community looking attractive, they are not the only action required. Homeowners are responsible for watering, trimming and mulching street trees on their properties. Please trim low hanging tree branches so that pedestrians can safely use sidewalks. Refer to the two attached documents for guidance on pruning and proper mulching. 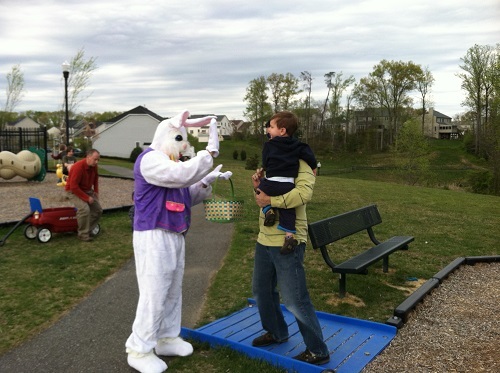 The Chapel Grove Easter Egg Hunt will begin at 3:30pm on Sunday, April 9th at the Pool/Playground Area. Most eggs are found in under 10 minutes, so it’s best to get there just before it starts. The tot lot will be the designated area for 1 to 3 year olds and the larger area surrounding the pool and parking lot for 4 to 12 year olds. Please bring your baskets to collect eggs. Eggs will be filled with candy and small prizes. We are look forward to seeing everyone at the hunt!